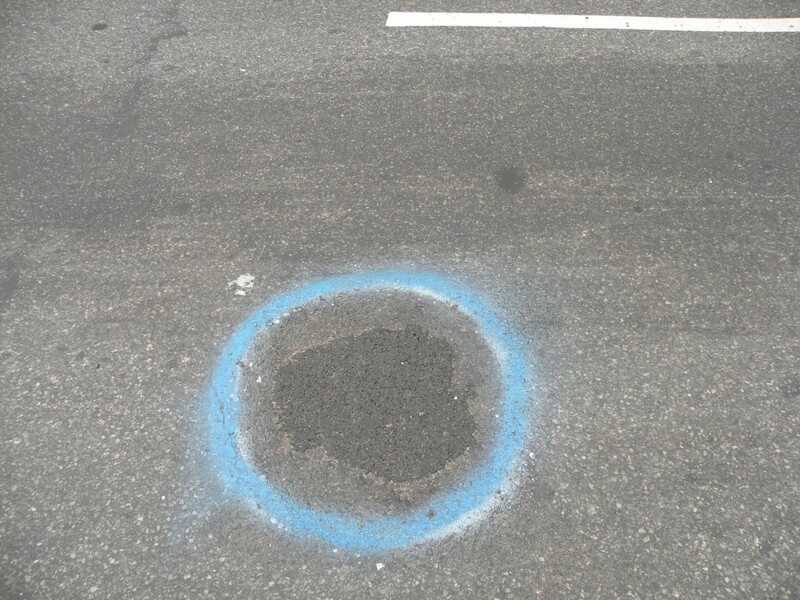 On 14th Street in Manhattan, four potholes were filled with asphalt and written meditations on fluid thinking and then outlined with blue temporary marking paint. This was a gesture towards reconciliation between the expectations for cities and the naturally occurring fluctuations of ground surfaces as a living system that gives evidence to the power of water (over rock, political might, advanced technology). The meditations honored the way water works and saw these aspects as examples by which to live and think. 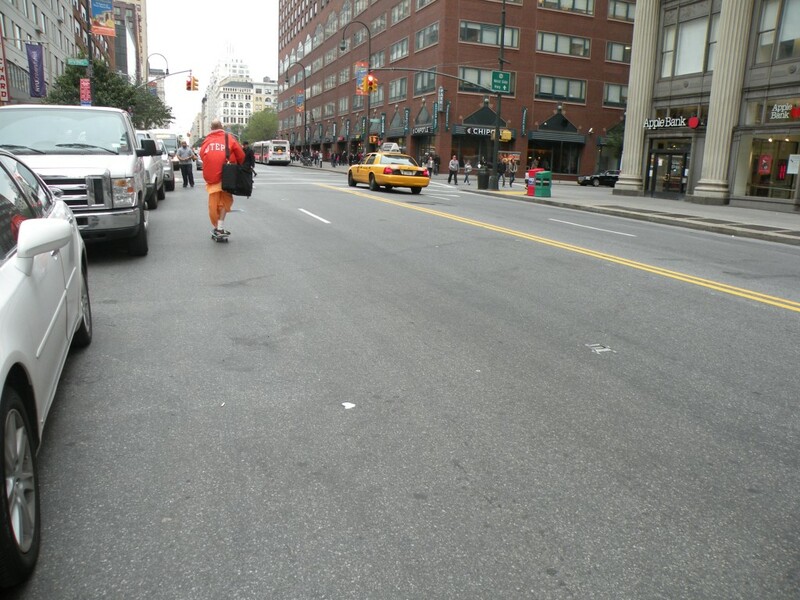 Much to our surprise, shortly after this project, New York was hit by Hurricane Sandy and unfortunately directly reminded of the power of water and impossibility of controlling it. So although our reconciliation efforts were not fully effective, perhaps burying these thoughts into the city material will have some resonant unquantifiable impact.